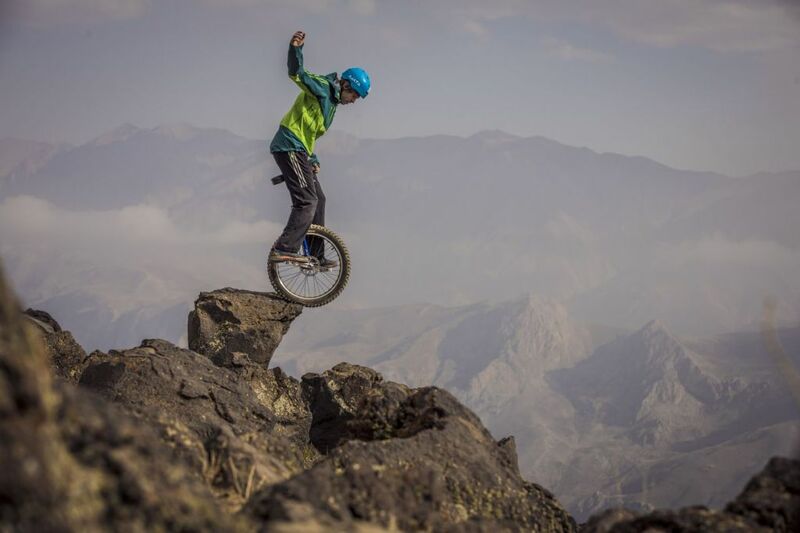 After three years of planning and over 10 years of extreme unicycling Lutz Eichholz succeeds in the unicycle descent of the 5671m high Damavand in iran. 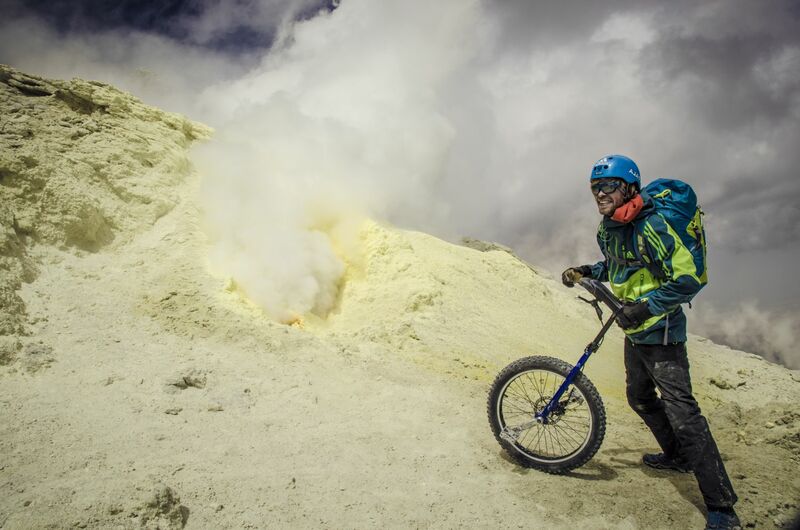 Despite enormous problems with the high attitude, injuries in the team and weather fluctuations between 40° and -7° celsius Lutz Eichholz succeded in the record breaking mountain descent. 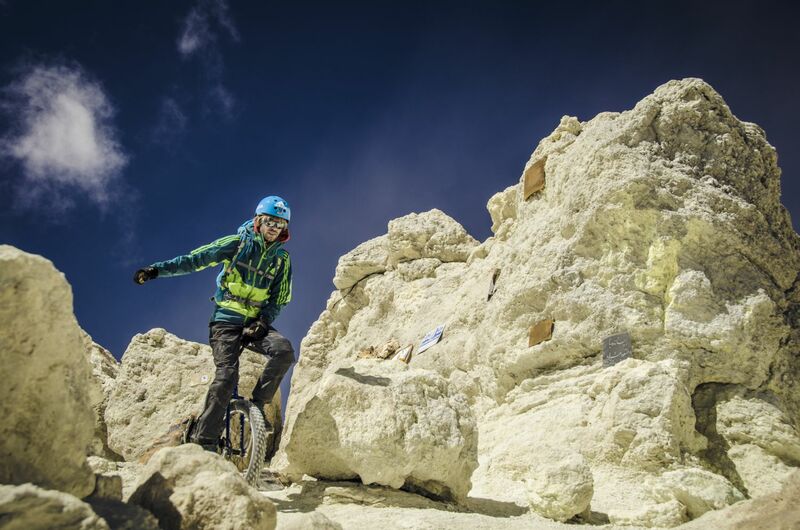 Never before has a unicyclist attempted to descend such a high mountain. „At some points I felt so bad that I thought I would have to give up. However, this project is so important to me that I managed to push my limits further than expected“. 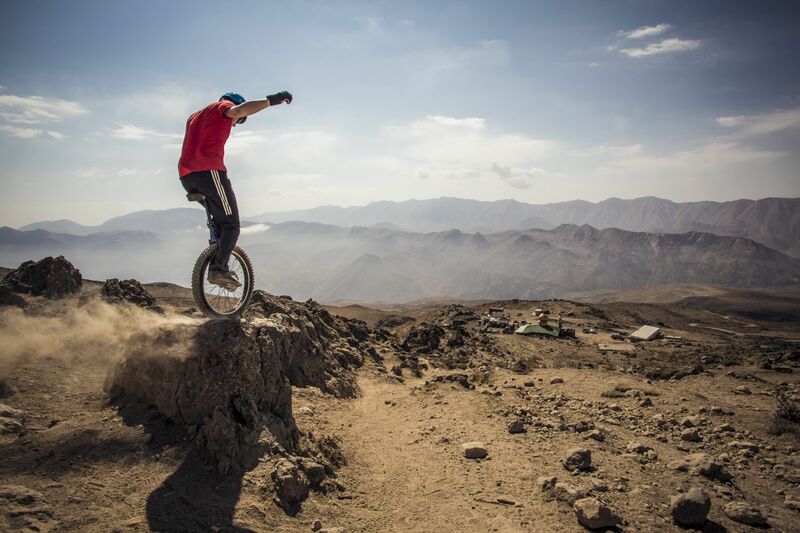 Here are some impressions of the climb and the breathtaking downhill on a unicycle. 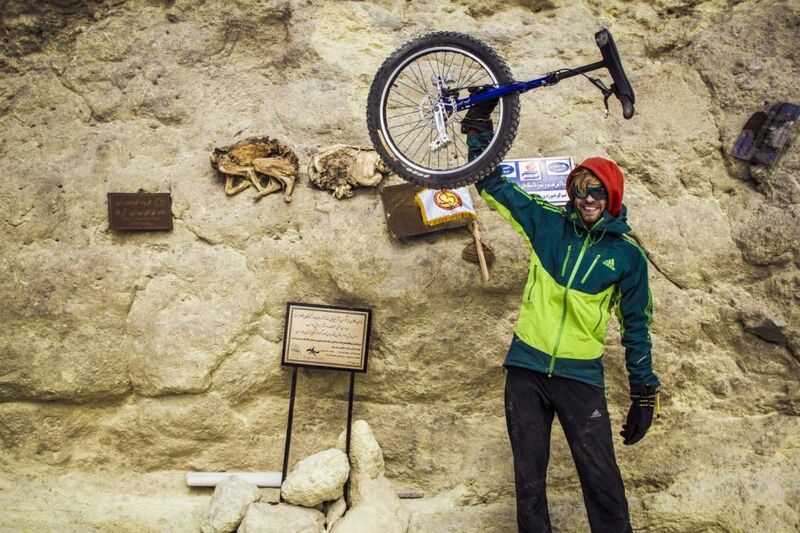 Video: Sebastian Doerk, Johannes Schnebele und Fabian Schroer. 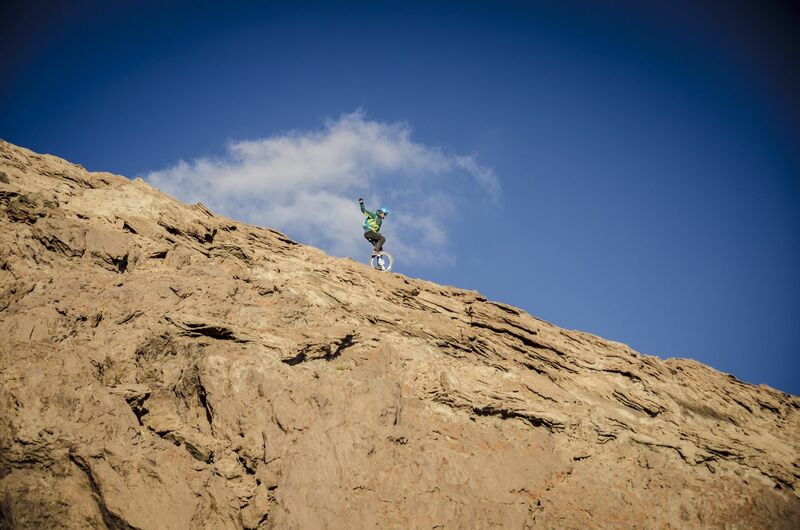 Pictures: Mohammad Hajabolfath, Johannes Schnebele and Sebastian Doerk. Dieser Eintrag wurde veröffentlicht in Allgemein, english. Lesezeichen auf den Permanentlink. Sauber der Lutz, cooler Trip! 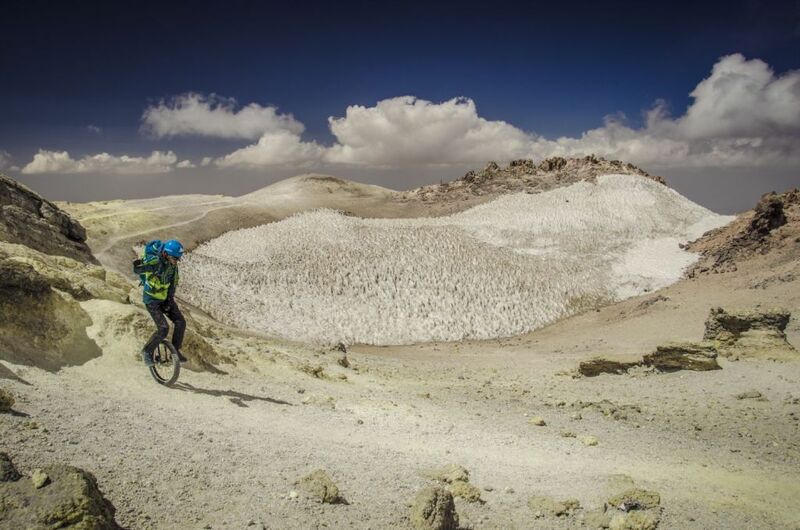 relay i enjoy for your temerity, and glad visit Iran mounts. we can help you more in Iran.